Congratulations to our show jumpers who enjoyed a very successful day at Moreton recently. They were joined for the NSEA event by debutants Nia and Lucy who both rode well in the 70cm individual event. In the team event Ted, Lola, Anouska and Poppy (pictured) came 6th in the 80cm class in a very competitive field and went on to gain 3rd in the 90/95cm Royal Windsor qualifier. They missed out by just one second! 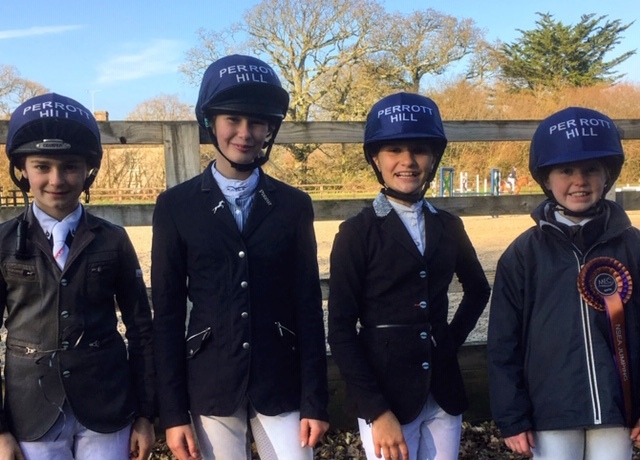 In the individual event with no fewer than 91 riders competing, Anouska, Lola and Ted came 2nd, 4th and 5th respectively. Well done, team – what incredible achievements – and good luck at Bicton in February.